Discovering our past is central to what we do: researching Pembroke's great and prestigious history is an ongoing process. 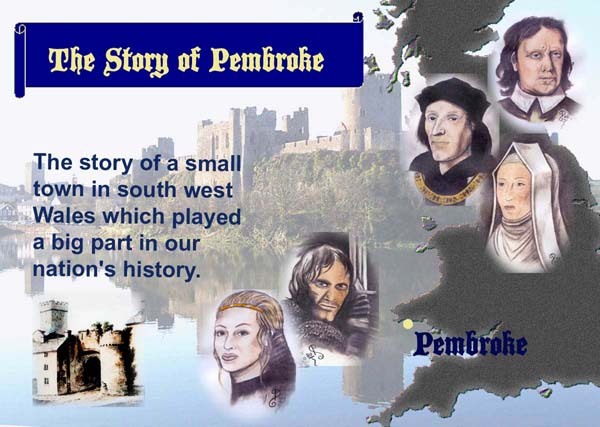 We have produced 'The Story of Pembroke', a series of Interpretation panels depicting our history through the ages. These are now on display in Pembroke Museum which is organised along a timeline, the unfolding story of our town from earliest times to the modern age. The Timeline below enables you to follow the course of Pembroke's history (in the right hand column) set against national events (in the left hand column) . There are pages for each stage of our history: click on the image on the timeline or on one of the buttons in the next column to follow the story. Please note: these pages are in a continual stage of revision - covering 10,000 years of history is a big project!! Evidence of settlements, burial barrows & standing stones. No evidence of Roman occupation but Roman coins found in the Castle . William Marshal acting Regent for Richard. 1210 John in Pembroke assembling a force at Kingsbridge en route to Ireland. 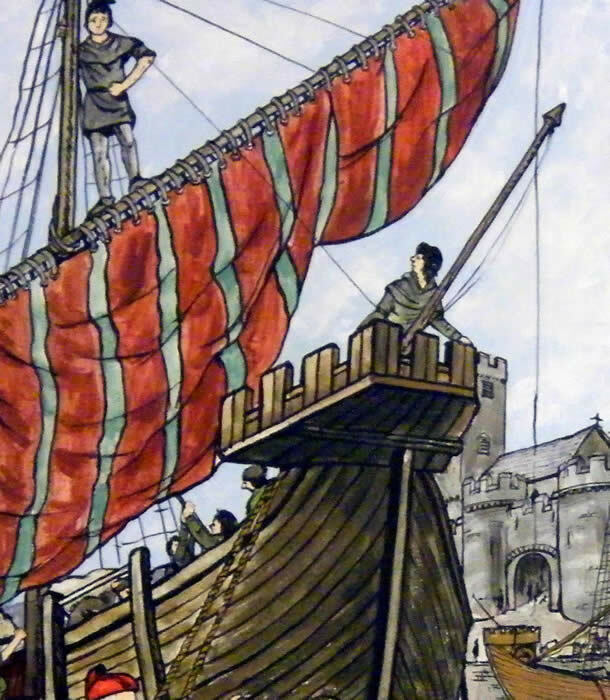 1471 Jasper and Henry escape to Brittany - Henry becomes the Lancastrian heir after Prince Edward's death. The Restoration of the Monarchy Pembroke never again plays a prominent part in national affairs. 1724 Daniel Defoe visits Pembroke "A prosperous port .."